The much-hyped war of words between Kapil Sharma and Sunil Grover doesn't seem to subside anytime soon. Their tussle got ignited lately after there were reports that Sunil Grover will be a part of upcoming show Family Time with Kapil Sharma. The show will mark the return of Kapil Sharma on Indian television. While the audience was ecstatic to see the two comedians together, Sunil has recently clarified that he isn't a part of FTWKS. Although Sunil had claimed that he wasn't offered the show, a source has reportedly revealed that the comedian had a keen interest in FTWKS and also had a major condition for being a part of the show. As per a report published in The Quint, the source has revealed that Grover wasn't comfortable with the title Family Time With Kapil Sharma. "Grover had a pre-condition. He wanted the show’s title to be changed. Nothing radical…or so Grover claimed. He just wanted his name to be added to the title of the show. So instead of Family Time With Kapil Sharma, it would’ve been Family Time With Kapil & Sunil," the source was quoted as saying. However, his condition was turned down by both the channel and the show's producers saying it was Kapil Sharma who made his previous shows a success. "Firstly, because the show was planned as a comeback vehicle for Kapil. It was Kapil who made Comedy Nights With Kapil and The Kapil Sharma Show a success. Of course, all the other comedians/entertainers in his team, including Sunil Grover, added to the show’s entertainment value. But for Grover to think he could share the marquee 50:50 with Kapil was ridiculous to the point of being laughable. All of Sunil’s efforts so far to project himself as a solo entertainer have been disastrous," the source added. While Grover has clarified not to be approached for FTWKS, Kapil Sharma has claimed that he had made several attempts to resolve their difference and take Sunil on board for his new show. For the uninitiated, Kapil Sharma and Sunil Grover have shared a great camaraderie during The Kapil Sharma Show and managed to hog major TRPs for the show. However, the two parted ways post a mid-air fight where Kapil had allegedly manhandled Sunil in front of the entire team. 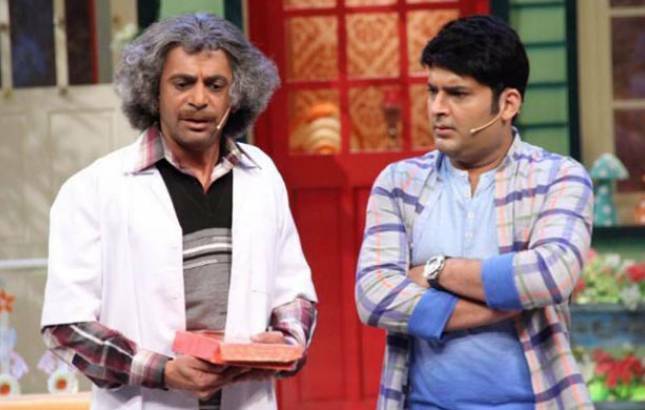 Only time will reveal if the audience will get to see Kapil Sharma and Sunil Grover together on the screen.